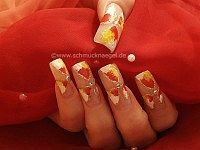 in yellow, red and white – Nail art instruction with step by step photos. We hope that you liked! 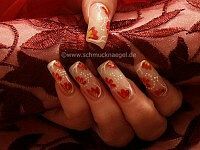 with acrylic – Fullcover nail art step by step illustrated with pictures. We hope that you liked! for the summer French motif. Animals nail art instruction. We hope that you liked! 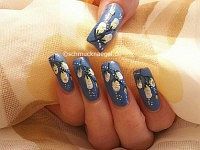 for the French nail art design. 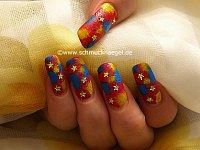 French nail art instruction with step by step pictures. 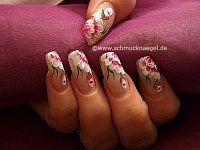 Fingernail design with flat brush – Nail art motif with flowers – Step by step instruction. We hope that you liked! 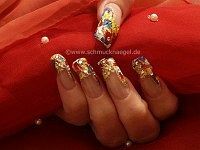 and strass stones in the colour crystal – Step by step nail art instruction with photos. We hope that you liked!